Six staff of the College of Health Technology in Ijero-Ekiti were on Tuesday arraigned in an Ado-Ekiti Magistrates’ Court over the theft of N1.17 million as well as N500,000 scratch cards belonging to the institution. The defendants, Ibrahim Ganiyu, 40; Joshua Daniel, 38; Afolabi Sunday, 45; Ikuobe Sunday, 46; Alonge Banji, 35; and Yusuf Ozigi, 32, whose addresses were unknown, are facing a two-count charge of burglary and stealing. The prosecutor, Inspector Johnson Okunade, told the court that the defendants and other accomplices now at large committed the offence on Nov. 22 at the college. He told the court that the defendants and others at large had burgled the bursary department with intent to commit the offence. The offences, he said, contravene Sections 411 and 390 (9) of the Criminal code, Laws of Ekiti State, 2012. The defendants, however, pleaded not guilty to the charges. The prosecutor asked for an adjournment to enable him study the case file and assemble his witnesses. The counsel to the first defendant, Mr Lai Obisesan, and counsel to the 2 to 6 defendants, Mr Sunday Ochai, urged the court to grant their clients bail. 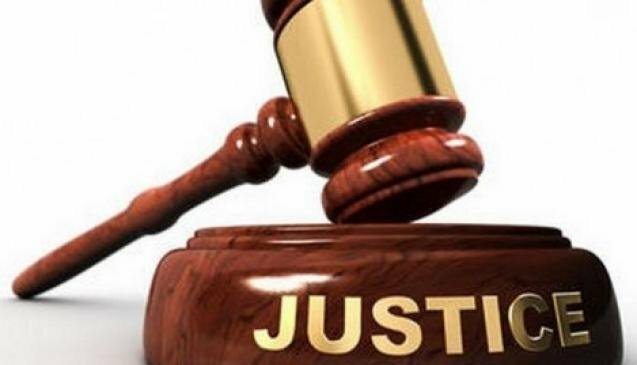 The Chief Magistrate, Mr Adesoji Adegboye, granted bail to each of the defendants in the sum of N200,000 with one surety in like sum who must have a verifiable address. Adegboye adjourned the case till Jan. 12 for hearing.